Hibiya Park (日比谷公園) is one of Higanbana spot in Tokyo. Around the Autumn Equinox, Higanbama bloom beautiful red flowers. 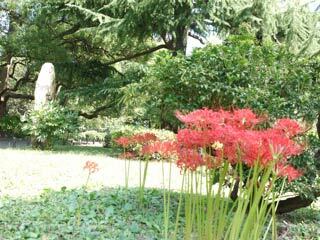 Higanbana is located mostly around Tennis courts.